Play with the character Ode to Joystick and defeat the Pinball machine boss to get the Pinball Wizard secret character. NEW #6 ??? 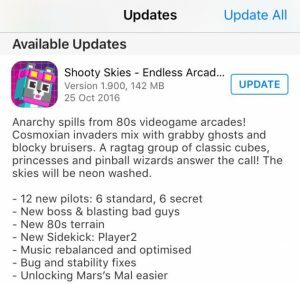 If you have any tips & tricks or other information on how to unlock Shooty Skies secret characters, please write us comments here!